We All Want to be Appreciated! Incentives – Do They Work? Which Hotel wins your #besthotelsleep Award? Christmas is Over – Time to Book the Christmas Party! When the Roof Falls In!!! It’s Never Too Early To Start Thinking About Christmas! At Image we like to think that we are pretty flexible – able to adjust, tweak and change arrangements on the fly in response to changing client needs or events beyond our control. But when historic restorations were urgently required to the roof of our client’s chosen venue, just days before their most important event of the year, all of our legendary flexibility was called upon, and it was all hands on deck. The event was originally planned to be in the Cloisters of Westminster Abbey, a wonderful and atmospheric venue perfectly suited to the sophisticated event our client desired. However, with just over a week to go, we received a phone call to say that emergency roof repairs were needed to the Abbey and Cloisters. Scaffolding and boarding was being erected all over the Cloisters as we were speaking! Urgent calls to the client and a snap site visit later we had relocated the event to the Westminster College Gardens nearby, where conveniently they had a marquee in place. 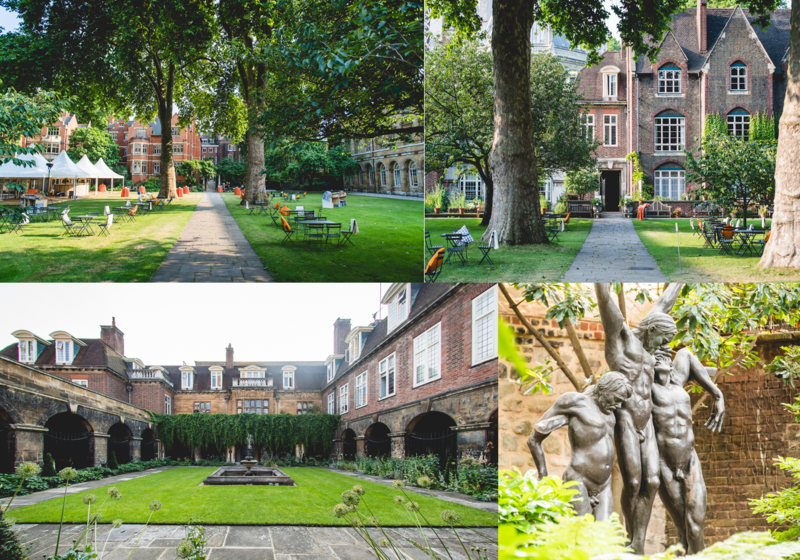 Whilst the Gardens didn’t have the atmosphere of the Cloisters, we did have more space and a garden surrounded with beautiful buildings, so a Garden Party was born. Pretty much all of our previous planning was dumped in the waste paper basket and a completely new event was created in a matter of days. New mood boards were compiled with different colour schemes, menus were revamped to now include outdoor food stations (including one called The Picnic Basket and the Sizzling Skewer Station), garden furniture was brought in and lighting was redesigned. The intimate music planned for the Cloisters would have been lost in the gardens, so out went the original plan and in came a String Trio, able to fill the space without being overpowering. A key part of the original event was going to be a number of private tours of the Abbey, we managed to find a new route for the tours that avoided the scaffolding and were fortunate indeed that Canon David Stanton kindly agreed to come into the Gardens and welcome guests to the Abbey at the beginning of the event. 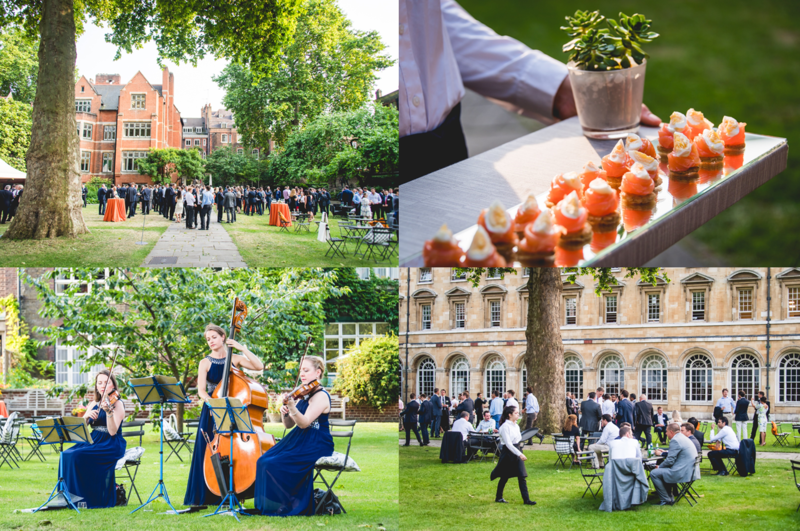 Even the weather was obliging and a wonderful evening was had by all 400 guests, so much so that the client has just rebooked the Garden Party and the venue for next year. How can we help with your event?